Russia's Industry and Trade Ministry on Wednesday announced measures to support the struggling domestic car industry, including subsidies aimed at cutting high interest rates that have slowed the auto loan market to a crawl. 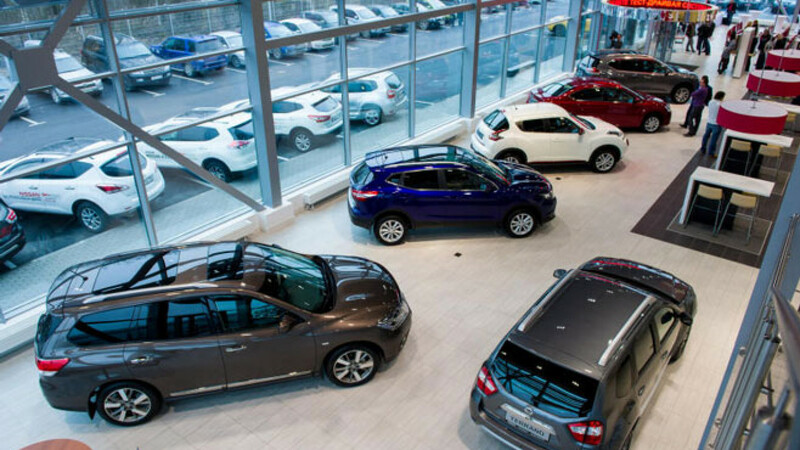 The government will allocate 1.5 billion rubles ($26 million) to the subsidies, which will help Russian consumers buy up to 200,000 new cars, the statement said. A total of 4 billion rubles ($70 million) from federal funds will go to supporting the industry this year. The support will be welcomed by an industry that watched sales plunge by nearly 38 percent in February compared to the same period in 2014, according to the Association of European Businesses — but it can only do so much. "The program can only help to lessen the depth of the market's fall, to make it less catastrophic," said Azat Timerkhanov, lead analyst at analytics agency Autostat. The car market has been hit particularly hard by Russia's economic crisis. Russians nervous over the economy tightened their purse string early last year while the ruble's fall of almost 40 percent to the U.S. dollar since the start of 2014 has sent car production costs soaring. The situation was exacerbated when rates for car loans climbed above 20 percent early this year after the Central Bank in December hiked its key interest rate to 17 percent in an effort to curb the ruble's fall. Higher rates had an immediate impact on the industry: If car sales involving a loan made up 40 percent of all sales in 2014, in the early months of 2015 they amounted to only 10 to 15 percent of sales, Timerkhanov said. This is where the government's program comes in. As long as the borrower pays at least 20 percent of the car's sales price upfront, the state will lower their lending rate to two-thirds of the Central Bank's key rate, which currently stands at 14 percent. VTB24, the retail lending branch of state banking group VTB, said in a statement Wednesday that it had already begun accepting application for car loans at a rate of 9.57 percent under the government program. The program is evidently focused on domestically produced budget cars, with the subsidies applying only to cars priced at 1 million rubles ($17,400) or less. Vehicles in this price range made up 64 percent of all sales by volume in 2014, according to Autostat. The subsidies will only go to purchases of cars produced in 2015. Under a second program announced Wednesday, the government will also subsidize 10 percent or more of the advance payment for leases of cars, trucks and buses.